I like using this cream in warmer weather, but choose to use it under my makeup before going out at night. Lalogy formulated Sunkissed for daytime use to help “surround the skin in a protective bubble to delay the appearance of premature signs of aging, fine lines and wrinkles.” I raise my eyebrows at that a bit because, well, 1) it doesn’t contain any SPF; 2) it does contain citrus paradisi, aka grapefruit oil, which can be phototoxic. That minor detail aside, Sunkissed is a nice formulation with some great key skincare ingredients. The inclusion of skincare superstar niacinamide adds some interest to the potion designed to lightly hydrate and moisturize. Niacinamide is known for its ability to lighten skin pigmentation and improve elasticity. Besides niacinamide, old favorites green tea extract, aloe vera and vitamin E offer antioxidant protection while meadowfoam and grapeseed oils moisturize and protect. To highlight a bit more, grapeseed oil is higher in linoleic acid, which can be beneficial for acneic skin that may not be able to handle all plant oils. Meadowfoam seed oil, however, isn’t as high in linoleic acid, though it is a very lightweight, fast-absorbing oil. The key is to try different plant-based carrier oils on their own first to see how your skin reacts before using them in blends! One thing to note is that this cream contains emulsifying wax, which isn’t typically very beneficial to the skin and can even be pore-clogging to some. It’s most often used to thicken products (nothing wrong with that! ), but just be aware of how your skin takes to a combination of oils and wax. 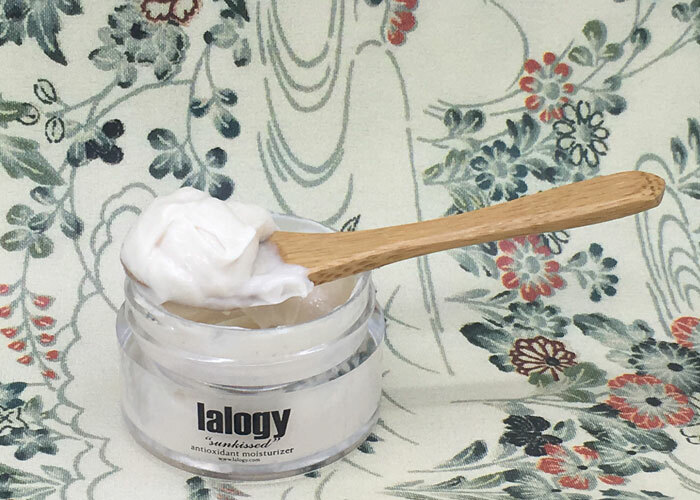 With that said, I’d love to see an addition to Lalogy’s cream collection for a product formulated without citrus oils and waxes. Are you sensitive to particular plant oils or waxes? What ingredients do you avoid in skincare products? Do you have any favorite day or night creams? Tell me in the comments section!